Join sorryyoufeeluncomfortable for a Study Day to develop their research in the Chimurenga Library. Through workshops, film screenings, music, readings and conversations the collective will develop a number of prints based on themes explored during their PASS radio broadcasts. The broadcasts covered subjects such as cultural creolisation, women’s contributions to Pan-Africanism, storytelling, music and the politics of urban diasporas. On this study day we will explore and rethink the rules of sound, map psycho-geographical contours of Blackness and consider what an Afro-future might be. sorryyoufeeluncomfortable have invited Chimurenga’s Ben Verghese, writer and musician Leeto Thale, artist Phoebe Boswell, architect Gian Giovanni, academic Henriette Gunkel, musician Cooly G, designer/venture futurist Thandi Loewenson, sound artists Ain Bailey and Paloma Pyip. sorryyoufeeluncomfortable welcome everyone to take part in this active day of research, knowledge sharing and making. No booking necessary; arrive early to avoid disappointment. 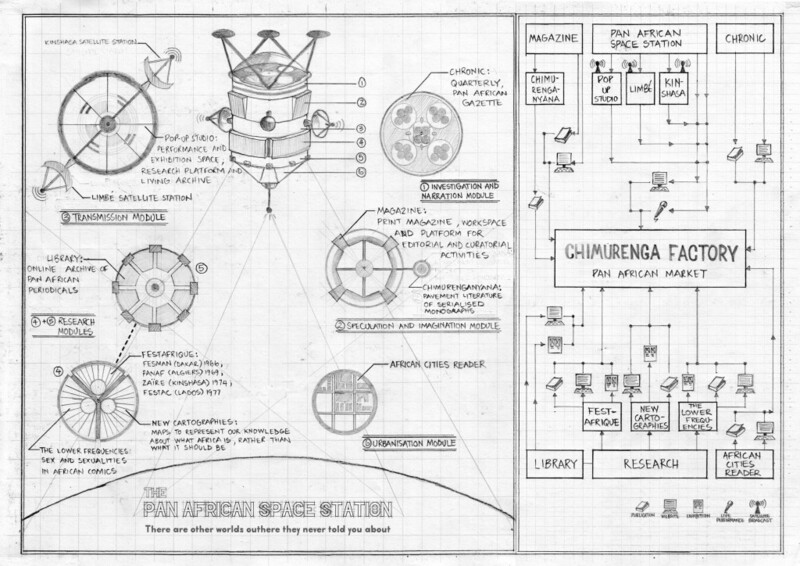 The Chimurenga Library project is co-curated by Chimurenga, The Otolith Collective and The Showroom.